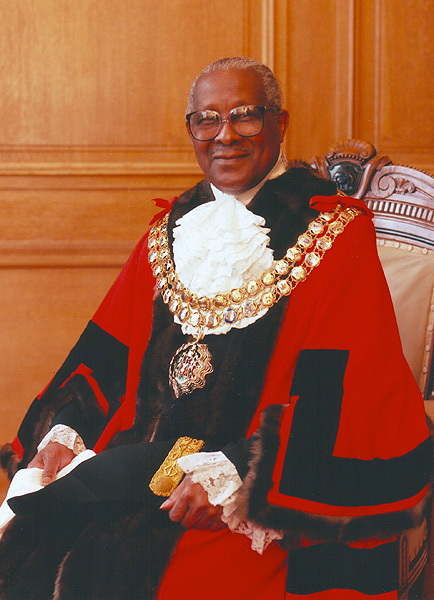 First black Mayor of Bolton. His father was Deputy Leader of the Legislative Council of Antigua and a member of the Executive Council of the Leeward Islands Colony. Came to Britain in 1942 to help the War effort and worked in a munitions factory in Liverpool. Settled in Bolton in 1945 and worked at Dobson & Barlow on aircraft manufacture. He later worked at Montague Burton (Tailors) in Worsley and became a shop steward there in the National Union of Tailors & Garment Workers. Awarded OBE in 1996. Honorary Alderman 1998. Secretary of Bolton East Constituency Labour Party. Founder member of Bolton Community Relations Council. His wife, Brenda, was Mayoress. 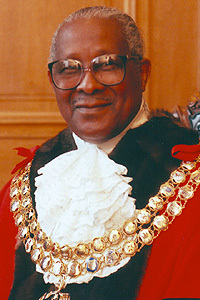 Formal portrait of Campbell Benjamin as Mayor of Bolton. 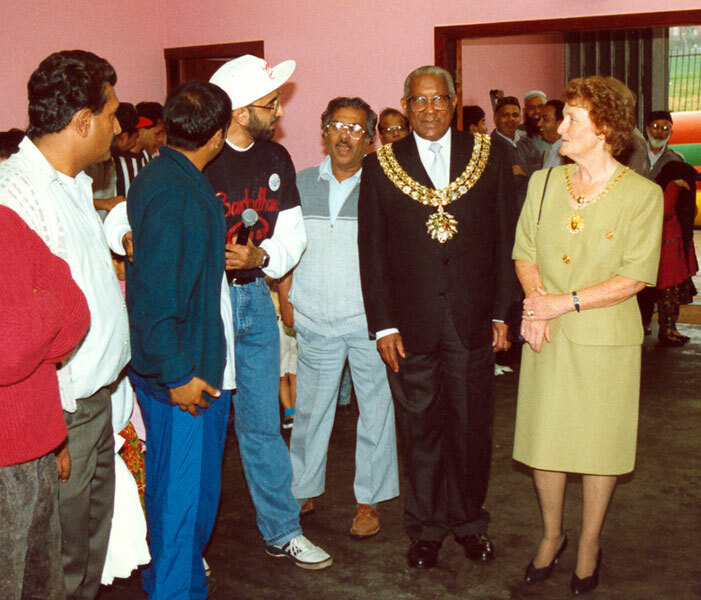 Campbell and Brenda Benjamin as Mayor and Mayoress of Bolton at the Barbodhan Fund Day 1993.